Sometimes a long sleeve shirt is just not warm enough to wear around the house or for a quick trip to the shops. So I decided to make a simple throw over tunic style top. 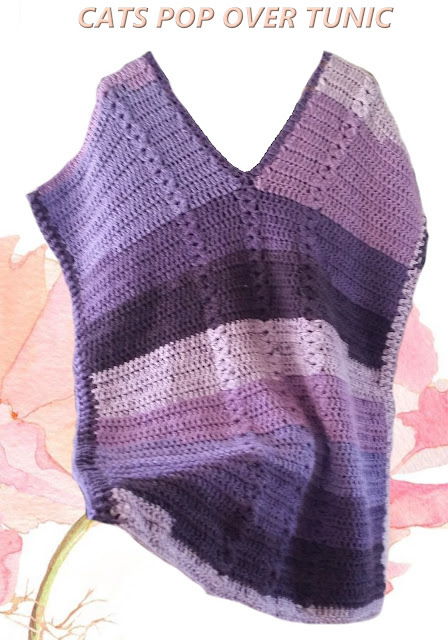 I had purchased some caron cakes in various tones and chose to use the bumbleberry style to make my top. I'm so glad I chose this yarn as it has a nice drape to it. The level of difficulty in making this tunic can be overcome by either learning a new technique or using an alternative stitch, the pattern begins with a foundation row of double crochets, the alternative to this is to chain the amount of chains needed, then make a double crochet into each of those chains, the foundation row of dc's gives the Tunic a firmer starting edge, thus eliminating the need for a row of ribbing. 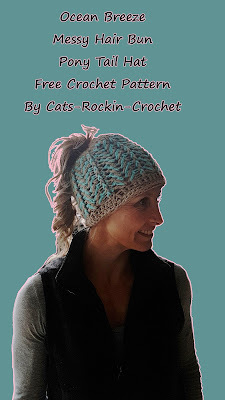 The pattern also uses a standing double crochet at the beginning of the row. the alternative to this is a chain of 3. (see stitches used). Size: AU 16, 18 and 20 adult instructions given, tunic can be made larger or smaller by adding or subtracting stitches at both edges of the tunic. The double clusters are purposely placed within the design for size alteration and a center split for the neck opening, at this point the double cluster is split into 2, which becomes a single cluster that travels along each side of the neck opening, it's subtle but nice. 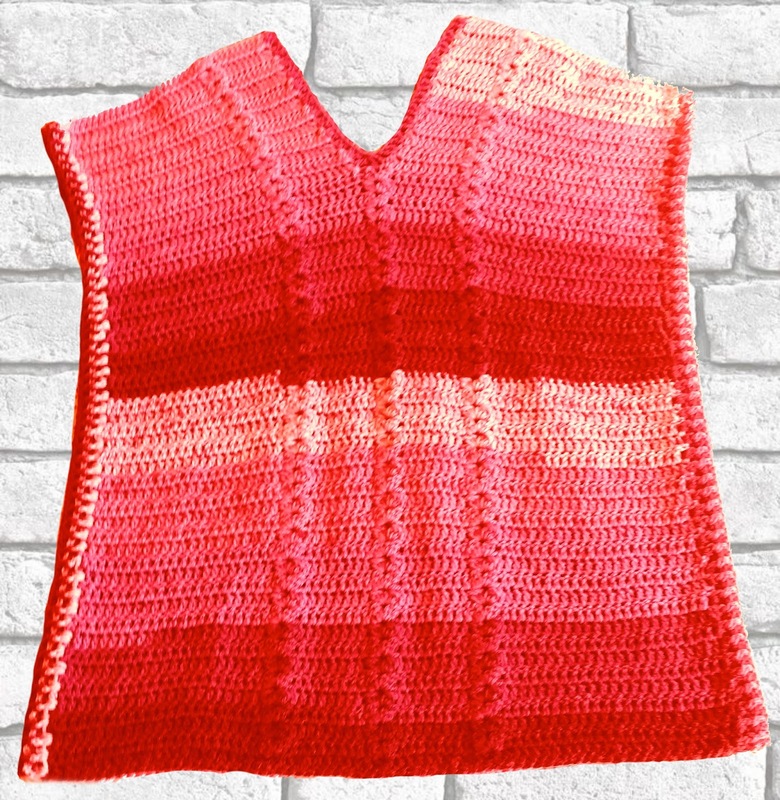 When making clothing items, it is best to grab a piece of clothing, lay it on a flat surface, then put the garment you are making over it and check for correct sizing, most times near enough is going to be good enough as our garment will be loose, which in turn will allow us to wear extra clothing underneath. Lets Begin:Make 2 pieces, 1 for the front and 1 for the back of the garment. Repeat rows 2 and 3 for a total of 40 rows (includes foundation row), this is a generous length, I would have preferred mine a couple of rows shorter. Repeat the previous 2 rows 5 times (12 rows in total), break off yarn and continue to the other side of the neck opening. 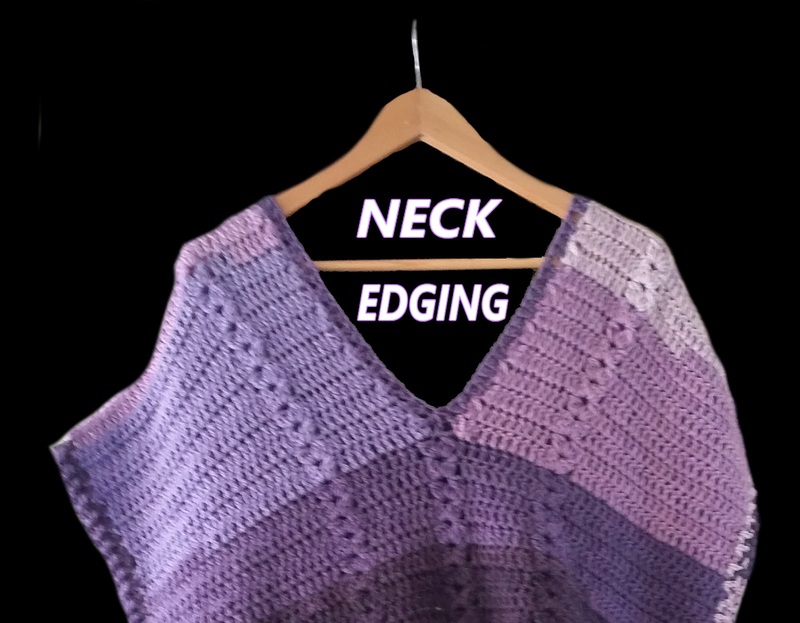 Continue pattern sequence for a total of 12 rows, both sides of neck opening are now completed. Join each shoulder seam together, they can be sewed or crocheted together, your choice. 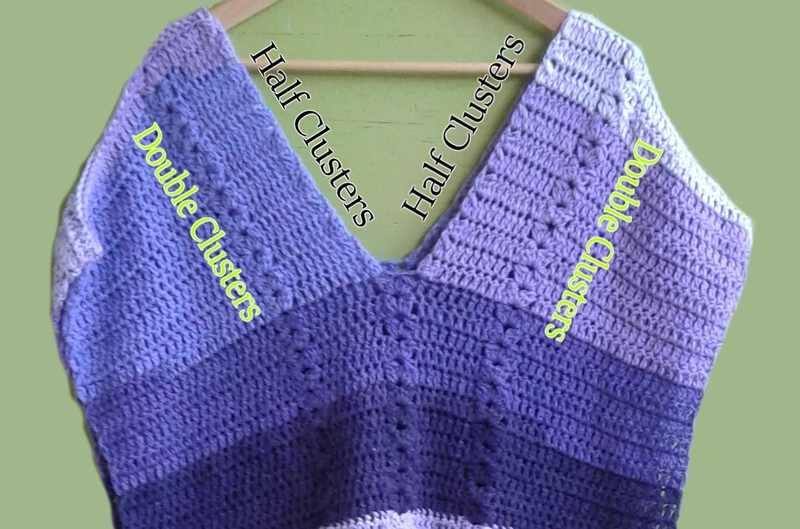 The tunic sides can be joined together now or you can add a decorative edge then sew or crochet that together. 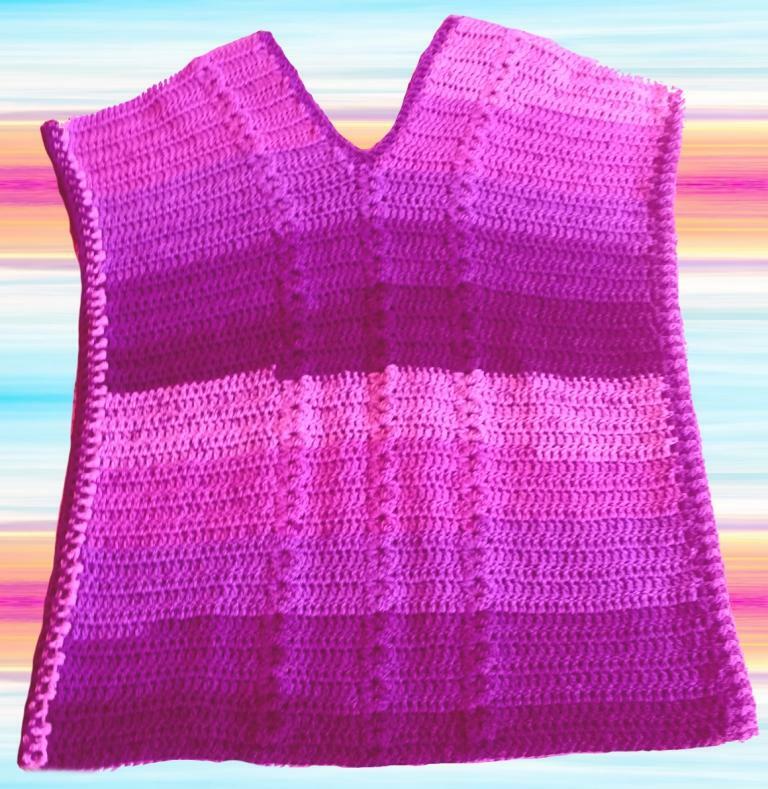 Mark sides approx 3 to 5 rows down from the neck opening and sew or crochet sides together. 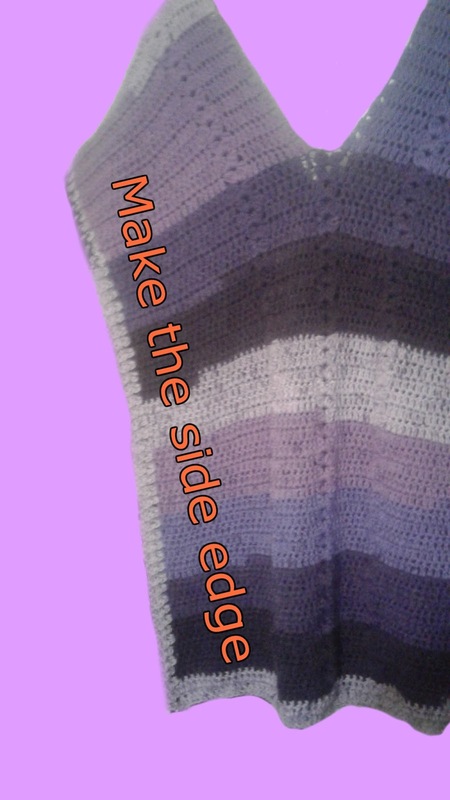 Making the side edge: working from the bottom edge and the sides of each row, make a sl st into the first rows edge and ch 3, make a dc into the same row, work 2 dc's in the side st of every row. Chain 3 and turn, work a *fpdc around next dc, work a bpdc around next dc* repeat from *to* until 1 stitch is remaining and make a dc in that one. 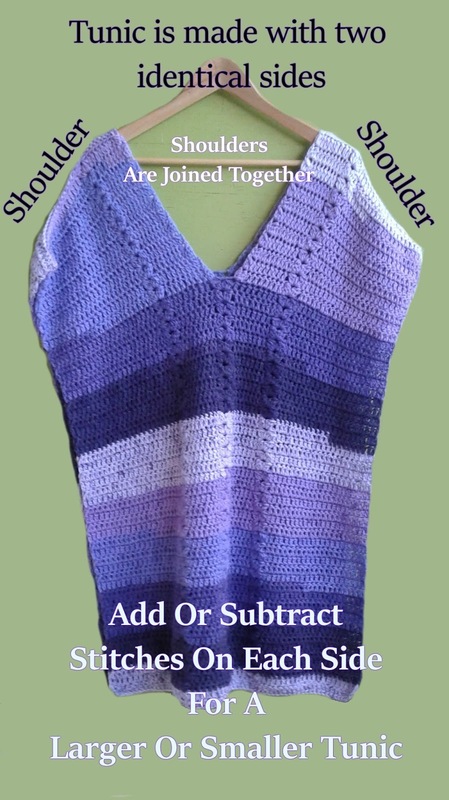 You can now sl st your sides together or sew them together. Remember to end your side joining approx 3 (medium size arms) to 5 (larger size arms) rows below the neck opening. 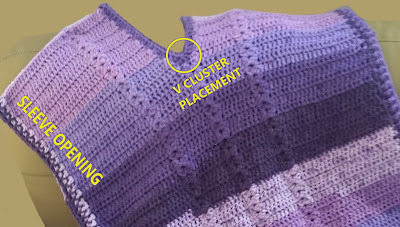 You could also add buttons for closing the sides instead of sewing or crocheting them together. 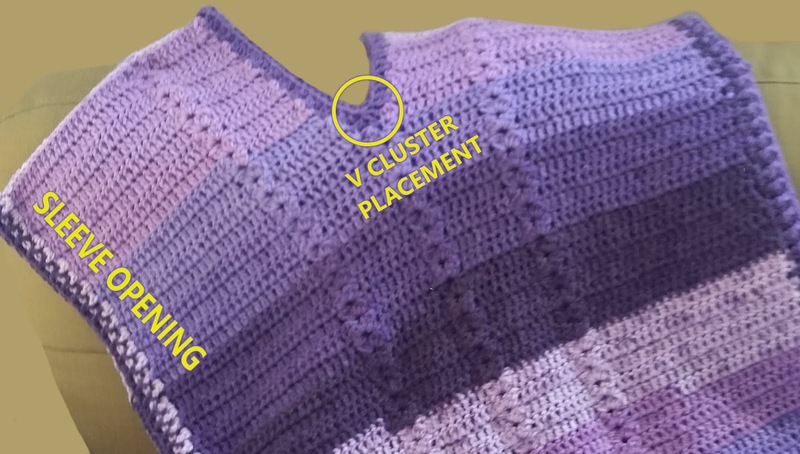 Join yarn to a shoulder seam with a sl st and ch 3, as per the sides, work 2 dc around the stitch edge of each row until you come to one row before center of neck opening, work a 3 dc cluster stitch that begins in the row before the center, the second part of the cluster is worked into the ch 2 space of the double cluster and work the final st of the cluster in the row above the chain 2 space then finish off the cluster stitch (you just made a V in the center of the neck opening), continue working 2 dc around the stitch edge of each row until you come to the joining seam and work 1 dc into the seam, repeat for the other side of your tunic "including the V in the center of the neck opening. Sew in ends and now you can pop it on!